Many moons ago before i entered the world of buying, i worked in my local M&S store and during this time the sub brand Limited Collection was launched. Due to the size of the Northampton store we were not lucky enough to have this new range however the odd piece would appear through returns or during sale periods and i loved to see these younger, more fashionable pieces. Nowadays the range has gone from strength to strength with some truly beautiful pieces at reasonable prices. You can imagine my surprise when today i popped into my local store to pick up some birthday cards and i was met by a new look store with none other than a dedicated area just for Limited Collection! The store looked fresh with the new season collection and i took practically everything to the changing room, i was just so impressed with the variety and style. 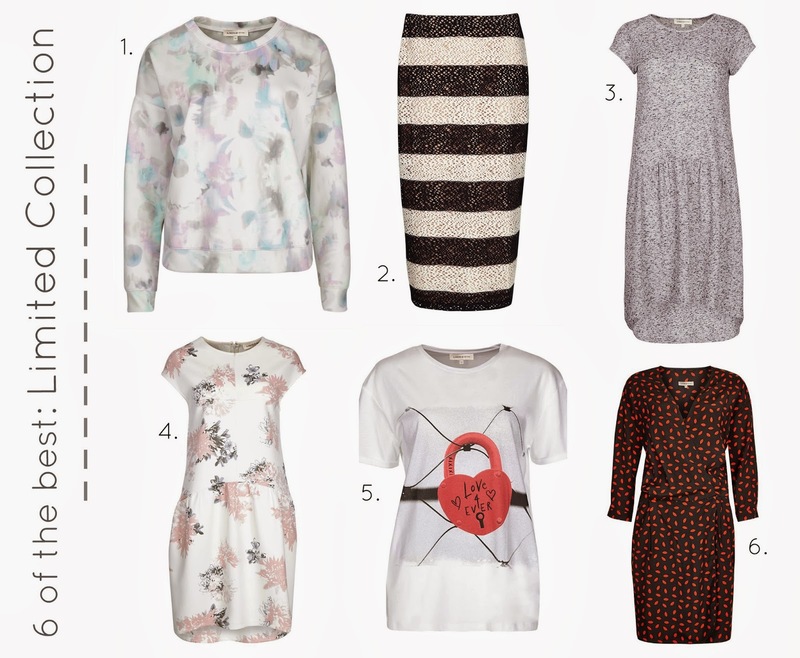 Particularly loving the lips print dress, very Lulu Guinness print in a flattering shape - not your usual M&S piece. Very tempted by some skinny jeans and the beautiful floral dress, but i only came away this time with the grey drop waist dress, which has a beautiful shape to it and is going to be a great transitional piece. Once i get paid there will be a return visit! What is you favourite M&S range?